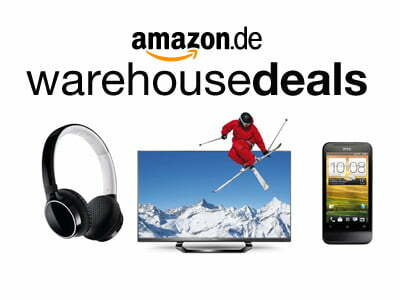 Warehouse Deals is the name under which Amazon Europa S.a.r.l (the head office of Amazon in Luxemburg) sells returned, repaired, or opened products at a greatly discounted price. Amazon checks the items and indicates clearly what you can expected: an opened box, some scratches at the bottom or top. We fully recommend to try them out. You get products with discounts up to 50% under the same conditions as others: free delivery and 30 days to decide wether you want to keep them or return. Each Amazon site has it’s own Warehouse Deals section. On Amazon France, the section is called “Offres Reconditionnées “.